I love web design like this. 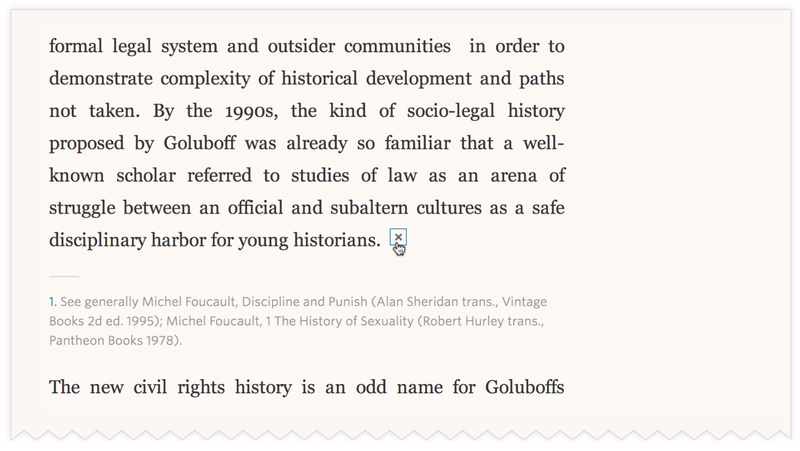 Both beautiful and useful: footnotes in context so you can read and return without leaving your current place in the text. Two examples—that work in desktop down to mobile—from Upstatement: NPR Code Switch and the newly redesigned Harvard Law Review.